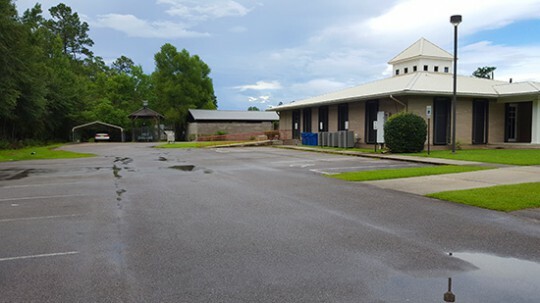 The Century Town Council voted during a special meeting Wednesday night to hire an attorney to represent four volunteer task force members charged with noncriminal violations of the Florida Government in the Sunshine Law. The council voted to hire attorney Kim Skievaski, a former circuit judge, at $300 per hour to represent Alfonzie Cottrell, Helen Mincy, Sylvia Godwin, and Robert Mitchell , who were charged by the State Attorney’s Office with having a public meeting that was not properly advertised. 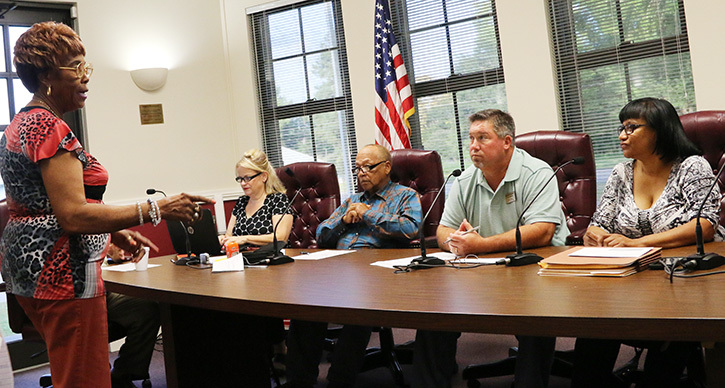 On July 26, a meeting was advertised to begin at 4:00 p.m. The meeting was actually held at 2:00 p.m. preventing the public from attending. The vote was not unanimous, as council member Ann Brooks vote against the town paying for the attorney. “I understand that the people that took on the responsibility for this task force are very intimidated and scared, and a I think we owe them some responsibility. However, this was not a mistake of the town,” Brooks said. She made a motion that the two consultants bear the cost of the attorney. “We have to pay for our mistakes sometimes,” Brooks said. Her motion died for the lack of a second. 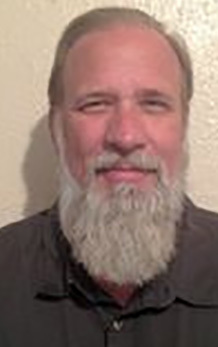 Mayor Freddie McCall told his council that he has been told that the four citizens will be offered pre-trial diversion at their September 7 arraignment. A telephone interview following the meeting, Assistant State Attorney Greg Marcille clarified McCall’s statement. He said the four will be offered pre-trial diversion if they take a Sunshine Law course or if they resign from the task force. Otherwise, they will face a judge trial and, if found guilty, a fine of up to $500. McCall said Skievaski was not necessarily in favor of pre-trail diversion; rather, the attorney wanted to see the charges dropped altogether. Skievaski met with the four task force members on Monday, even though he had not been official hired by the council. “I told him don’t worry about his money; I would pay him out of my pocket for the meeting Monday if the council decides not to hire him,” McCall said. He also said Skievaski was recommended by town attorney Matt Dannheisser. “I am nervous. I never been to jail, and I sure don’t want to go for some mess somebody else made,” Mincy told the council. However, the charge against Mincy are noncriminal and would not include jail time. The State Attorney’s Office investigation began after a July 27 article on NorthEscambia.com “Century Holds Meeting In Apparent Violation Of State Sunshine Law“. NorthEscambia.com arrived the previous day for the 4 p.m. meeting to find the front doors of the Century Hall locked and the parking lot empty. We later learned that the meeting had been held at 2 p.m. The town provided a public notice on Wednesday, July 27 and re-held the meeting on Thursday, July 28. Pictured top: Facing noncriminal charges from the State Attorney’s Office, Helen Mincy (left) addresses the Century Town Council Wednesday. NorthEscambia.com photo, click to enlarge. Tonight: A 30 percent chance of showers and thunderstorms, mainly before 7pm. Mostly cloudy, with a low around 72. North wind around 5 mph. Friday: A 30 percent chance of showers and thunderstorms, mainly after 1pm. Partly sunny, with a high near 93. North wind 5 to 10 mph. Friday Night: Mostly cloudy, with a low around 71. North wind around 5 mph becoming east after midnight. Saturday: A 50 percent chance of showers and thunderstorms after 1pm. Mostly sunny, with a high near 90. Calm wind becoming southeast around 5 mph in the morning. Saturday Night: A 20 percent chance of showers and thunderstorms before 1am. Mostly clear, with a low around 72. Southeast wind around 5 mph becoming calm. Sunday: A 50 percent chance of showers and thunderstorms after 1pm. Mostly sunny, with a high near 91. Calm wind becoming southeast around 5 mph in the morning. Sunday Night: Partly cloudy, with a low around 73. South wind around 5 mph becoming calm in the evening. Labor Day: A 40 percent chance of showers and thunderstorms. Partly sunny, with a high near 89. East wind around 5 mph becoming south in the afternoon. Monday Night: Partly cloudy, with a low around 73. Tuesday: A 20 percent chance of showers and thunderstorms. Mostly sunny, with a high near 92. Wednesday: A 20 percent chance of showers and thunderstorms. Mostly sunny, with a high near 93. Wednesday Night: Partly cloudy, with a low around 74. Thursday: A chance of showers and thunderstorms. Mostly sunny, with a high near 93. 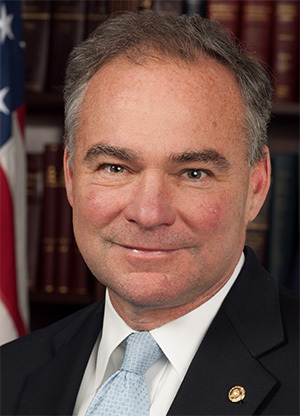 With Florida bracing for Tropical Storm Hermine, Democratic vice-presidential candidate Tim Kaine has called off a campaign swing that was expected to include stops in Pensacola, Panama City and Jacksonville. Hermine, which was upgraded Wednesday afternoon from a tropical depression to a tropical storm, has caused Gov. Rick Scott to declare a state of emergency in 42 counties in North and Central Florida. The storm, which is in the Gulf of Mexico, is expected to hit the state late Thursday or early Friday. Kaine had been scheduled to campaign Thursday afternoon in Pensacola and Panama City before appearing Friday in Jacksonville. Republican presidential nominee Donald Trump will hold a rally in Pensacola next week. 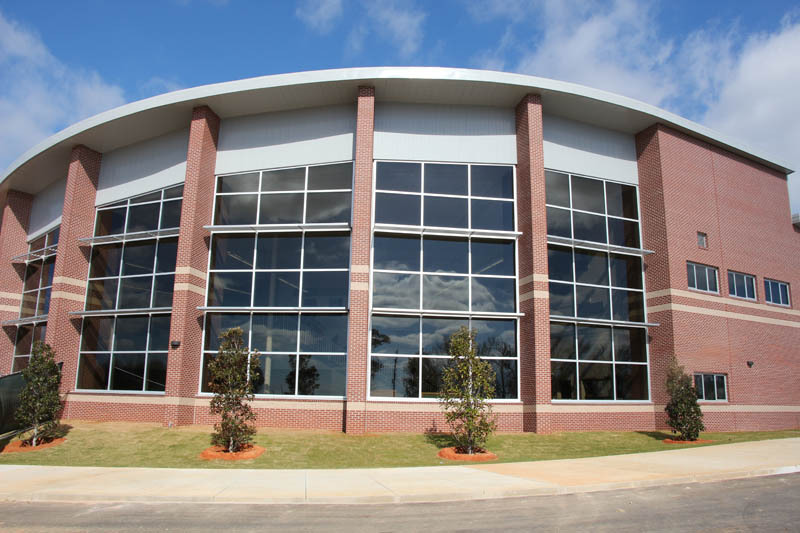 Trump will hold a rally at the Pensacola Bay Center at 6 p.m. on Friday, September 9. 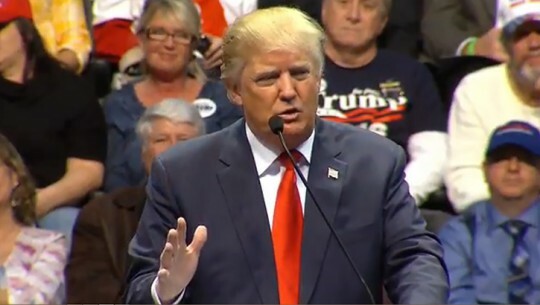 Trump last visited Pensacola in January, giving a 70 minute speech at the Pensacola Bay Center. 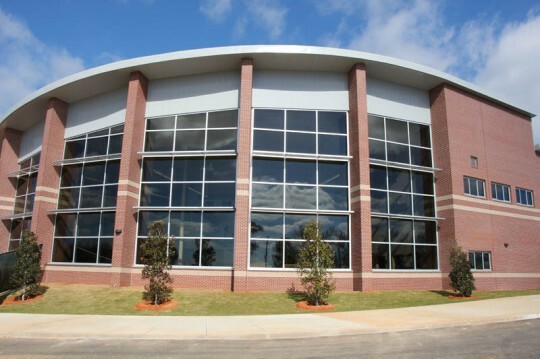 Ernest Ward Middle School will hold an Open House at 6:00 tonight. Prior to the open house, from 5-6 p.m., and open computer lab will be available in Room 118 for parents to complete the process of registration for student Chromebooks. Parents must view a short video and complete the registration document. 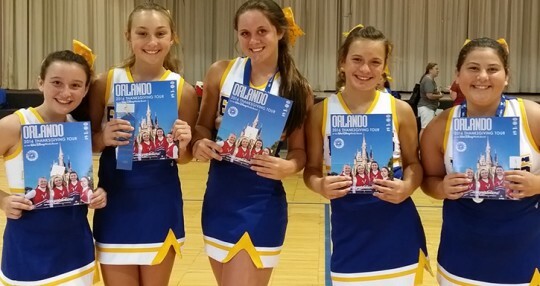 For more information, call Ernest Ward Middle School at (850) 327-4283. 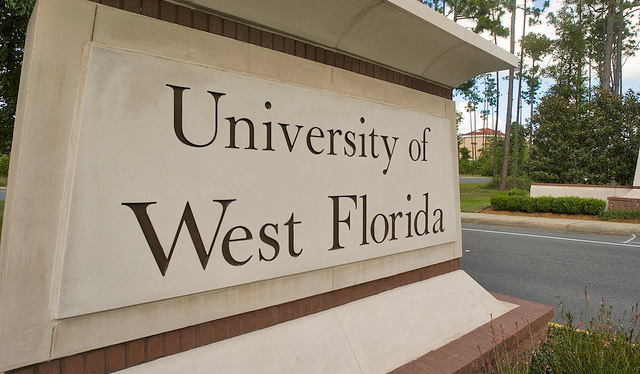 Former state Senate President Don Gaetz and Martha Saunders, a University of West Florida provost and vice president, were among eight candidates recommended to advance in the search for a new president for UWF. A presidential search committee made the recommendations Wednesday, after interviewing 16 candidates at the university’s Pensacola campus over three days. The committee is scheduled to meet again Tuesday to review the references of the eight candidates provided by a consulting firm and then recommend further on-campus interviews with at least three of the candidates. The next round of interviews is set for Sept. 12 to Sept. 14. After those interviews, the search committee will recommend at least three candidates to be considered by the university’s Board of Trustees, which is scheduled to meet Sept. 15 to pick a president to succeed Judy Bense, who is retiring at the end of the year. Gaetz, who lives in Niceville, has been a Republican member of the Florida Senate since 2006, serving as the chamber’s president from 2012 to 2014. Gaetz, who is term-limited this year, is also a former Okaloosa County school superintendent. 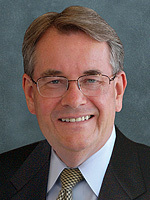 Saunders, the provost, is a former president of the University of Southern Mississippi and the University of Wisconsin-Whitewater. The other six presidential candidates include: James Applegate, executive director of the Illinois Board of Higher Education; Frank Ashley, senior vice president for The College Board; Ron Elsenbaumer, a senior adviser to the president for entrepreneurship and economic development at University of Texas at Arlington; Bahman Ghorashi, a provost and vice president for academic affairs at Tennessee Tech University; William “Mike” Sherman, vice president for innovation and economic development at The University of Akron; and Alan Utter, a professor and vice provost for research at Appalachian State University. Eyes remain upon the tropical system in the Gulf of Mexico today, but it appears more and more likely that it will have little or no impact on the local area. It is now forecast to remain east of Northwest Florida. The latest information is in the graphic above. Five Ernest Ward Middle School UCA All American cheerleaders are raising funds to cheer in this year’s Thanksgiving parade at Disney in Orlando. They are selling smoked Boston butts for $35. They can be picked up at the Bradberry Ballpark in Walnut Hill on Saturday, September 3 from noon until 1 p.m. To order, call (850) 292-7972. 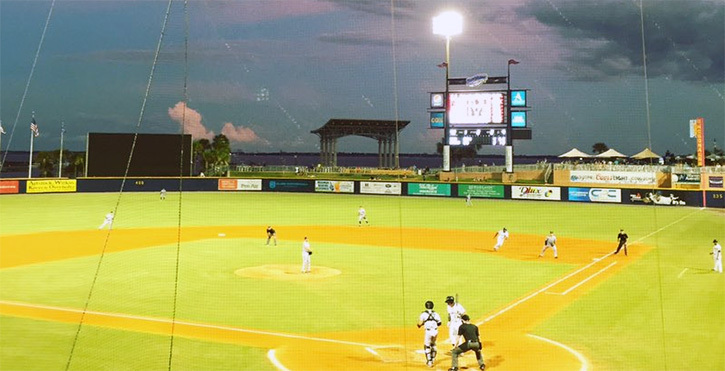 The Pensacola Blue Wahoos head into its last five games Thursday against the Birmingham Barons, chasing the Mississippi Braves for the Southern League South Division second half title. After winning the first four games of the series against visiting Jacksonville, the Suns picked up a win in the finale, 4-1, in front of 4,277 at Blue Wahoos Stadium. Pensacola reached 302,340 in attendance for the season, which is the fifth straight year it surpassed 300,000 since its inaugural year in 2012. Pensacola, which already captured the first half winning a franchise record 41 games, is 1.5 games behind Mississippi, which defeated the Chattanooga Lookouts, 6-2. The Braves are 36-28 (70-63), while Pensacola dropped to 35-30 (76-58). Blue Wahoos manager Pat Kelly congratulated the Blue Wahoos fans and its front office on drawing more than 300,000 fans for five consecutive seasons. The highlight for Pensacola fans besides the attendance was Pensacola second baseman Brandon Dixon hitting a bullet over the right field fence in the sixth inning for his second homer in the five-game series. The solo shot was his 16th of the season, which is fourth in the Southern League. With five games left in the season, Dixon is one behind the franchise record of 17 homers clobbered by outfielder Juan Duran in 2014. Kelly said Dixon, who went 3-4 and is hitting .373 in August to lift his season average to .265, liked watching the home run rocket over the right field fence. He’s also liked being able to play Dixon in all three outfield positions and second and first base. “That’s a great sign, if he can hit a ball to right field like that,” Kelly said. Pensacola Blue Wahoos starter Nick Travieso started the game out strong walking one to start the game and then retiring the next six batters with two strikeouts. However, the Jacksonville Suns scored four runs on five hits and a walk, sending all nine batters to the plate. The first two runs scored when Jacksonville left fielder Austin Dean doubled into the left field corner. Suns second baseman Derek Dietrich, doing a MLB rehab, scored when center fielder Kenny Wilson grounded out to second. Jacksonville first baseman Chris Curley then singled to left field to score third baseman Brian Anderson to put the Suns up, 4-0. Travieso developed bronchitis and has had trouble breathing. He stopped the game with two outs in the fourth inning and threw a warm up pitch for Pensacola manager Pat Kelly, pitching coach Danny Darwin and trainer Tyler Moos. He then struck out Dietrich to end the inning. Travieso, who struck out seven over six innings, lost the game, dropping to 4-7 with a 4.10 ERA. He last won July 8 against the Mobile BayBears when he threw a two hitter in six scoreless innings. Kelly said he’s been resting his starters the past two weeks in preparation for the playoffs. He said he will make adjustments in the last series of the season against Birmingham to get ready.